June is the first month of the traditional rainy season, but even with the rainfall there is still plenty of sunshine! Daytime temperatures typically peak at a balmy 31°C / 88°F. June is also the first official month of the hurricane season. 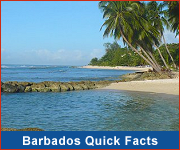 Barbados has not suffered a major hurricane since 1955 but the possibility of bad weather does exist. If you're concerned about hurricanes, check with your travel insurance to see if they offer any hurricane-related coverage. Also ask your hotel about cancellation charges & preparedness in the event of a storm. Although Barbados is rarely hit by such storms it's wise to be prepared. June begins the Crop Over summer festival and you'll hear soca and calypso music playing on the radio. When planning your vacation, be sure to visit WhatsOnInBarbados to see what Crop Over and other events are happening on the island. 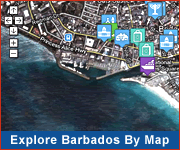 The more affordable summer rates during June make for a great Barbados vacation deal!